You can support this project via my patreon. 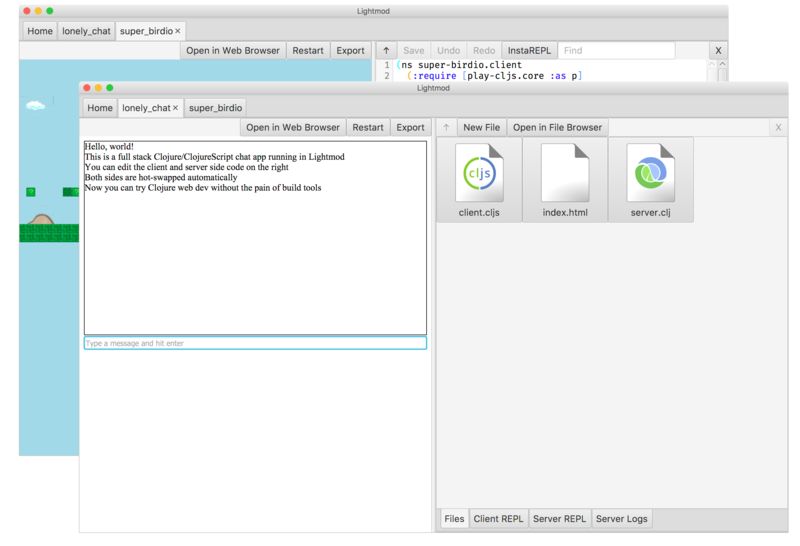 Lightmod is a tightly integrated tool for making full stack Clojure and ClojureScript web apps. It is fully self-contained -- no need to install the JDK or any build tool. It hot reloads both client and server code automatically with zero setup. Join the discussion on /r/Lightmod and read the source code.